From the humble first e-cigarette, vaping has come a long way as far as devices go. Experienced vapers have sought ways to make the activity more suitable to their personal tastes, leading to the rise of customizable vape mods. The ability to have precision control over your vaping experience is one of the most appealing features of this hobby. And if you feel like you’re going to stick to vaping for a long time, customizing your vape mod is most likely going to be a part of your journey as well. customizing your vape mode will present you with numerous options and challenges. You have options for batteries, tanks, and e-liquids. Rest assured you will have plenty of options to find the most suitable set-up for you. Why Should I Customize my Own Vape Mod? For most vapers, customizing their mods is one of the most interesting and exciting parts of vaping. Having numerous set-ups to choose from is just one of the main reasons for customization, but if you’re going to be more detailed about it, here are other things that a customized vape mod can offer. Vape mods come with more feature than your store-bought e-cigarette or the conventional vape pens. Vape mods carry variable wattages which give you the ability to control the temperature on the fly. You can make it as hot as the watts allow or settle for a cooler temperature. The result is that you can modify the richness of the flavor according to your heart’s desire. Most of the vapers who engage in customizing their mods would like a richer, fuller flavor, simulating the throat hit they get when cigarette smoking. If this is something you look forward to in vaping, customizing your own vape mod should do the trick. Vaping is such a personal experience and correctly hacking the structure of your vape mod can result to a finer, tailored vaping experience for you. You can opt for longer-lasting batteries, switch tanks when desired and even go into the little details like picking out your favorite color. If you enjoy more vapor, as in those thick and fluffy white clouds, you can do so by adding more coils to produce more power and lowering the standard resistance of your device. Truly, nothing beats the feeling of vaping when you enjoy your own device. Most ideal for users with rebuildable atomizers, using vape mods allows for endless customization that can spark the scientific and creative genius in each vape user. But aside from being able to tweak the DNA of your vape mod, you also look good vaping using one. Most vapers dig the industrial look with no wires and circuitries to distract the aesthetics of the whole device. Most of these mods come in gold, silver, chrome, red and other racy colors that just allow you to vape in style. Furthermore, using customized vape mods make you more comfortable with vaping. Since you are able to increase the power, build coils and choose tanks, you are also able to minimize the efforts required for the upkeep and maintenance of your devices. Although customizing your vape mod may seem like a complicated and overwhelming process, vaping devices typically have three basic parts: the battery, tank and e-liquid. The battery is the vape’s power source. Batteries can come in different, size and amps but their role is one and the same – to be able to heat the atomizer in order to turn the e-liquid into vapor. It is highly important to choose the right batteries for your mod as it will ensure that your device will work perfectly and that you can vape safely. Tank is the general term for the part of the vape which houses the e-liquid, coils and wicks. Tanks can come in different types like cartomizers, clearomizer, RBAs and RDAs. The tank of a vape is usually heat-resistant, but depending on the type of tank you choose and your style of vaping, selecting the best tank for the job is important to make vaping enjoyable and safe. The e-liquid or juice is the liquid source of the vapor. It is composed of propylene glycol, vegetable glycerin, flavoring and nicotine (optional). It is important to choose the right level of nicotine and mix (PG/VG) ratio when selecting what e-liquid to vape. Since using vape mods is an upgraded experience from vaping of typically cigalikes, it is important to determine the right batteries that would best meet your vaping demands. For vape mods, expect that batteries have to have higher power or amps, higher efficiencies and better chemistry. To guide you through numerous options for your vape mods, here are the types of batteries to choose from. IMR is deemed to be the safest vaping batteries today. It contains nickel or manganese which makes its chemistry even safer, not anymore requiring the need for protective circuits that typically come with ICR batteries. IMR batteries are better in tolerating heat and stress and they are less likely to create violent vents in case of failure. Hybrids are as safe as IMR batteries and can store as much as ICR batteries. For vaping that demands more power, reliability and safety, hybrid batteries as well as IMRs are best options. When it comes to building, customizing and using vape mods, safety can’t be overstated. It is recommended not to venture into vape mods unless you have gathered enough experience and understanding in vaping to ensure your own safety. Batteries, no matter how stable or safe they seem, can become unsafe when used or handled improperly. For some vaping techniques, like vaping sub-ohm wherein you are potentially pushing the batteries to their limits, you run the risk of exceeding the amps indicated. This can lead to short-circuiting your device and has the potential to damage not just the battery and your mod, but can also explode, posing risks of injury and property damage on your part. Vaping won’t be as enjoyable and as safe without the right batteries. Imagine having to always worry if your device can fail and your battery can explode right in your hands if you opt for cheap, sub-standard batteries. Batteries are going to be great investments and if you handle and care for them properly, they will continue to be safe and efficient all throughout their lifespan. Moreover, it is important to use the correct batteries for your coils. For instance, sub-ohm vaping which has the resistance of below 1.0 ohm, the device draws more power quickly than above ohm vaping. 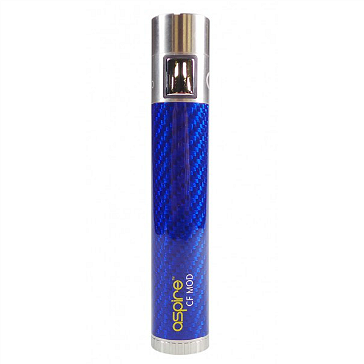 This means the batteries rapidly heats the atomizer and allows you to generate more vapor. Consider how demanding and strenuous this is your batteries. Without the right batteries, the device can fail and the batteries have the potential to explode. It is the aim of the whole vaping community to make this hobby as safe and healthy for everyone, and picking the right battery is the first step to it.age not just the battery and your mod, but can also explode, posing risks of injury and property damage on your part. Despite the difference in battery types, there are certain common grounds when you’re selecting or shopping for your vape’s batteries. These features provide more safety, storage and reliability to cater to the demands of your vaping style. Batteries’ capacities are measured in maH (milliampere-hours). This tells you how much amps the battery consumes in an hour before you need to recharge it. Basically, the higher the indicated maH, the higher capacity it has and the less frequent you have to recharge it. Therefore, a battery with an indicated 2500maH can consume 2500 amps in an hour, after which, you will need to charge it in order to use it again. Using the battery’s capacity is a good comparison point when you are trying to decide between two or more batteries. The battery’s current rating refers to the maximum current a battery can deliver without overheating. Remember, when the battery gets too hot, you might be overdoing it and you’re running the risk of explosion. However, it is not good to just base your choice for the highest current rating that you can find. There are trade-offs between current rating and capacity. If you opt for a battery with higher current rating, you can expect that it has lower capacity. If you want to get the best of both worlds, take a look at how you vape and from there determine what you really need from your batteries. Opt for batteries with higher voltage as this will provide “hard hits” when you vape. The harder the batteries hit, the more efficient it is delivering power to the coil, allowing you to create more vapor. For mechanical mod users, this is an advantage as there are higher current demands for them. Those who use devices with fixed voltage will also benefit from higher voltage batteries as they don’t have to work extra hard in order to create vapor. It is also crucial to pick batteries that run on low temperature during operation. Heat is an ever-present factor in vaping, but opting for batteries that can keep their cool while you vape provides that extra layer of protection against venting, even exploding. Thankfully, you’ll find that most high voltage batteries have high capacities or high current ratings (or decent amount of both). As for temperature, it is always recommended to give your device some rest should your batteries begin to warm. Use the charging cable that came with your device. Some chargers may fit your device, but if the charger has higher voltage, your battery may over-heat and may result to short-circuiting. It is always safe to use the charger that came with your mod. Do not leave your device unattended when charging. This doesn’t mean that you have to stare at your device until it is fully-charged, but it’s just safer to check every 30 minutes or so and be there when you’re done charging. This means you shouldn’t charge your device overnight as you might fall asleep and not be able to unplug your device when full. Tank is the generic name applied to the part of the vaping device which holds the e-liquid and where the heating action takes place. Over the years, several types of tanks have been developed to satisfy the different needs of each vaper. Furthermore, opting for the right tank doesn’t just meet your vaping needs, but your safety as well. The most basic part of a vaping device is the battery, e-liquid and the atomizer. In this set-up, the atomizer contains wicks and coils and it is also where the e-liquid is stored. Atomizers are mandatory parts of cartomizers and clearomizers, but atomizers can also work on their own. When the battery is powered up, it heats up the coils in the atomizer. The coil in turn heats the e-liquid, which when it reaches the evaporation point, the e-liquid turns into steam. This is the vapor that’s released from your mod. Apart from the coil, the wick is also part of most atomizers. The wicks function is to regulate the flow of the e-liquid so that a certain amount of the juice is heated and turned into vapor at a given time. If dripping is your vaping style, using an atomizer is a great idea. Since there are no other areas that separate the e-liquid from the tank, you get a more flavorful vapor and a more intense throat hit. However, dripping can also be messier and you’ll need to clean your mod more often. A cartomizer is the combined forms of cartridge and atomizer. Cartomizers typically come with artificial filler called poly-fill. The poly-fill acts as sponge to absorb and regulate the flow of your e-juice. With this artificial filler inside your tank, re-filling your tank can be troublesome that most people would dispose of the whole tank when the juice has run out. Those who still prefer to use cartomizers may refill the tank using a syringe. This may require more effort and care, but refilling your cartomizer is cheaper than replacing the whole tank. Cartomizers are more difficult to clean though as the poly-fill could house some residue of the previous e-liquid you consumed. Leaving the cartomizer with the build-up can result to bad-tasting juice especially if you vape a different flavor the next time around. Clearomizer is the most popular tank nowadays. Clearomizers come with an atomizer and a clear tank, allowing you to see right away how much juice you still have. This means you can refill your tank right away and prevent that burnt taste when the juice has run out. It is also easier to regulate the flow of your e-liquid using a clearomizer. When the wick has turned dry, you simply have to move the tank back and forth to allow the wick to absorb more juice. Clearomizers are also the best tank option if you’re looking into modifying your vape. You can add more coils, change their positions, or switch out the wicks to personalize your vaping experience. Of course, venturing into this requires more knowledge and skills, especially on safety so be sure not to do anything with your vaping device if you’re still just a beginner. RBAs contain tanks to hold some of the extra juice. These tanks have the potential to be modified or upgraded since you can add or change the wicks and coils. The main advantage of RBAs is that they contain a wicking material that regulates the flow of the juice, allowing for less frequent refills than with RDAs. RDAs are much more straight-forward than RBAs in that the liquid drips directly from the atomizer to the wicks. RDAs hold only a small amount of liquid at a given time, requiring more frequent refills to be able to continue vaping. A note on safety for both RDA and RBA: modifying them without proper knowledge can result to an inefficient and dangerous device. You will be dealing with wattages/voltages and coils and if you happen to connect them to the wrong charges, you run the risk of a possible explosion. Dripping, such as in the case of using RDA, is also not recommended for beginners. E-liquid is an integral part in vaping and without it, you can never produce vapor. E-liquids typically contain a base (PG/VG mix), some nicotine and flavorings. The vaping business has boomed so much that a lot of stores are now exclusively selling just e-liquids, but you also need to be careful where you get your e-liquid from and how you deal with it to ensure your own safety and vaping pleasure. It is believed that the rumors of e-liquids containing anti-freeze came from an FDA statement blown out of proportion. This is due to the fact that e-liquids contain propylene glycol, one of the ingredients used in making anti-freeze. However, PG in anti-freeze is used only for non-toxic applications and using PG in e-liquids is an altogether different story. E-liquids come in many different flavors – ranging from the traditional tobacco, fruits, spices to drinks. Although it’s normal for some vapers to become experimental with their own juices, it is recommended not to make your own until you’ve gathered enough experience and understanding of the e-liquid. Mixing different flavors from different brands or manufacturer should also be avoided. Remember: Be wary of the cheap knock-off e-liquids sold at suspiciously low prices as you’re not sure what’s in them or how they’re made. To play it safe, always go for the best quality that your budget can afford. Even the most experienced vapers have encountered certain issues at one point or another. Vaping is such a subjective and personal experience, and most of your time as a beginner will be spent finding out what works and doesn’t work for you. You’ll begin with some trial-and-error until such time you find what you like and realize that vaping could truly be a great activity for you. Here are some common issues that you might encounter while vaping and how to solve them. This is a common case for ex-smokers who turn into beginner vapers. If you’re using ordinary cigalikes, you’ll find that nicotine hit is slower and less intense than what you’d experience with traditional cigarettes. If you’re not contented with the nicotine hit with your first few tries, try leveling up your nicotine strength one point at a time, then settle with the level that sates your nicotine cravings. Of course, you’d want to move down your nicotine levels gradually too, but just take it one step at a time. Throat hit refers to the intensity of the flavor at the back of your throat, and if you’re not contented with what you’re getting, you must first check your bases. You must have more PG in your e-liquid than the VG to create a stronger throat hit. It could also be that your device is not giving you enough throat hit. Cigalikes are inferior in delivering throat hits. Invest in tank systems with variable wattage/voltage to achieve the throat hit that you prefer. The main reason for getting burnt taste is that you’re burning out your coils. You may have run out of juice or you’re pushing the wattage on your device too high. It is also possible that your e-liquid has higher VG. Too much VG can clog your coils and this might also result to a burnt taste too. Make sure to periodically check how much e-liquid you have and clean out your atomizers to get rid of build-ups. If you’re using a new atomizer, begin with a low wattage first and gently work your way up. Don’t exceed the watt limitations of your batteries though as that can get dangerous. Dehydration is a common experience and it is important to keep yourself aptly hydrated. Drink plenty of water all throughout the day to prevent dehydration. If sore throat persists, check how much PG you have in your e-liquid. It’s possible that you’re allergic to PG and sore throat is just one of the common symptoms. Switch to a 100% VG-based e-liquid instead to continue vaping without this hassle. If you’re consistently producing poor vapor and experiencing burnt taste, chances are, your vape mod is clogged with debris and e-juice build-up. This is bound to happen to all vape mods and getting into the habit of regular cleaning is so important to keeping them in prime condition and peak performance. Second, disassemble the parts of your vape mod. Make sure to have something to catch the tiny parts so you don’t accidentally lose them. Take a cotton swab and dip into rubbing alcohol. Gently remove the juice build-up and debris from the tank. Don’t use isopropyl alcohol and other harsh chemicals to clean your mod. Also, don’t submerge any of the parts into water. This can damage your device and you will end up with an unusable mod. Let the cleaned parts sit to air-dry or pat them dry with paper towel. Assemble your vape mod unit. It is also good to have some replacement tanks if you’re an avid vaper and if you like switching to different e-liquid flavors every now and then. This minimizes your upkeep efforts and having a spare tank means you can almost instantly vape without having to clean the first tank. Periodically check the coils and see if the burnt taste still persists after you’ve cleaned out the tank. The coil may have reached the end of its lifespan and if you continue using it, you’ll get that burnt taste just the same. Keep your tanks and atomizers away from direct sunlight. If you’re not using them, remove the liquid and clean them before storing. Direct sunlight can cause your tanks to leak if it has liquid in it. Proper upkeep and maintenance are required to keep your mods in great condition and to make them safe for use. Following these simple tricks and keeping them in your routine is a great way to continue your vaping pleasure.